In Unsane, trust can be deadly. Steven Soderbergh’s latest film—his second theatrical feature after coming out of retirement with Logan Lucky—sees him explicitly working within the horror genre for the first time (although Contagion and Side Effects could easily pass as horror films as well), and continuing to explore how people adapt to a society where everything becomes transactional. In Soderbergh’s world, everyone’s in it for themselves, so the act of trust becomes a liability, given it has no value lest it’s exploited for one’s own gain. This exploitation is what fuels the horror in Unsane, where people and institutions we expect to help us turn out to be wolves in sheep’s clothing. Our unlucky heroine is Sawyer (Claire Foy), a business analyst trying to restart her life after being targeted by a stalker (Joshua Leonard). She has a new city and job, but her past continues haunting her, as she continues seeing her stalker around her. Her paranoia leads her to visit a psychiatric centre, where she suddenly finds herself committed after signing what’s described as routine paperwork. Turns out Sawyer is a victim of a scheme by the centre where they trick people into getting themselves committed so they can steal their insurance money (a part of the story based on a real-life scandal). Sawyer gets her mother (Amy Irving) and a fellow patient (Jay Pharoah) with a hidden cell phone to try and find a way to get her out, but suddenly her stalker appears as a new staff member at the facility, and he’s committed to making sure she stays with him forever. Soderbergh has never been one to rest on his laurels, so Unsane finds him experimenting with form yet again as he shot the entire film on an iPhone 7, and his attempts to merge form and content make up the most fascinating parts of the film. Soderbergh shoots the pre-asylum sequences with the camera constantly locked down in various, off-kilter positions meant to evoke Sawyer’s paranoia. As good as Unsane can look sometimes, it’s still shot on consumer-grade technology, but Soderbergh’s camera placement combined with the shoddy video quality evokes the imagery of surveillance cameras. Once Sawyer ends up hospitalized, Soderbergh uses tracking shots and other more elaborate camera movements as the stakes get heightened by the stalker’s presence. The camera’s limitations in regards to image quality, and its benefits in terms of its compactness, allow Soderbergh to experiment with getting further inside his protagonist’s head. And as we go further inside Sawyer’s brain, we feel her exasperation at being labelled as insane despite all evidence pointing to the contrary; it’s the people around her who are driving her crazy. The first time we see Sawyer, her new boss suggests they travel to a conference together alone; her stalker came to know her through her volunteer work; the institute uses her therapy session against her to extend her stay; and the authorities ignore her pleas regarding her stalker joining the staff. These violations only push her further to the brink, so by the final act Sawyer transforms herself into an individual who uses others to her advantage, understanding the need to exploit others in order to survive. But to what end are Soderbergh and screenwriters Jonathan Bernstein and James Greer creating such a mean-spirited film? The insurance scam provides a chance to explore institutional rot and corruption, but around the halfway point it’s pushed to the background once the stalker takes over as the villain. And when the body count starts piling up, it feels like the film is reveling in its own cruelty, letting innocent people suffer for their generosity for the sake of it. Soderbergh is a smart enough filmmaker to avoid letting his film tip over into full-blown, Eli Roth-level bad taste, but Unsane veers close to falling off that cliff, resorting to a ruthlessness that feels unearned in its final stretch. Soderbergh closes his film with a freeze frame, an image that feels like a cheeky nod to ‘70s B-movies that likely acted as inspiration. But the reference also feels like a cop-out, as if Soderbergh is using the cover of genre filmmaking to get away with his film’s nihilistic attitude. 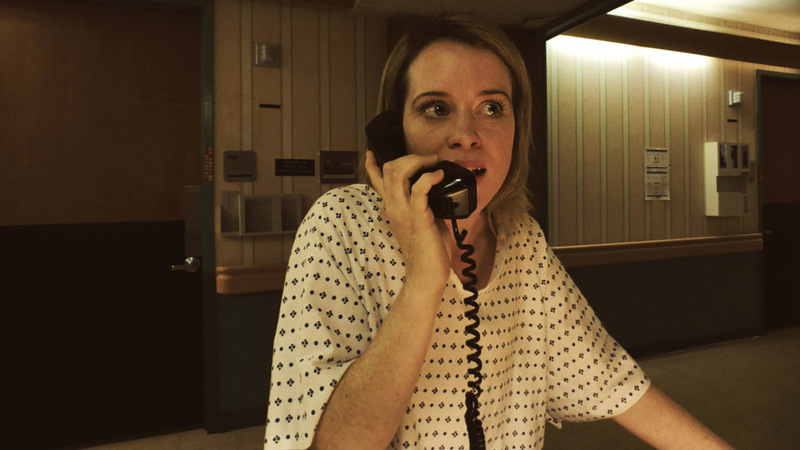 It makes Unsane a film with some right ideas that follows through on them in the wrong way.